Solid desks, great customer service, that's the Claremont way. 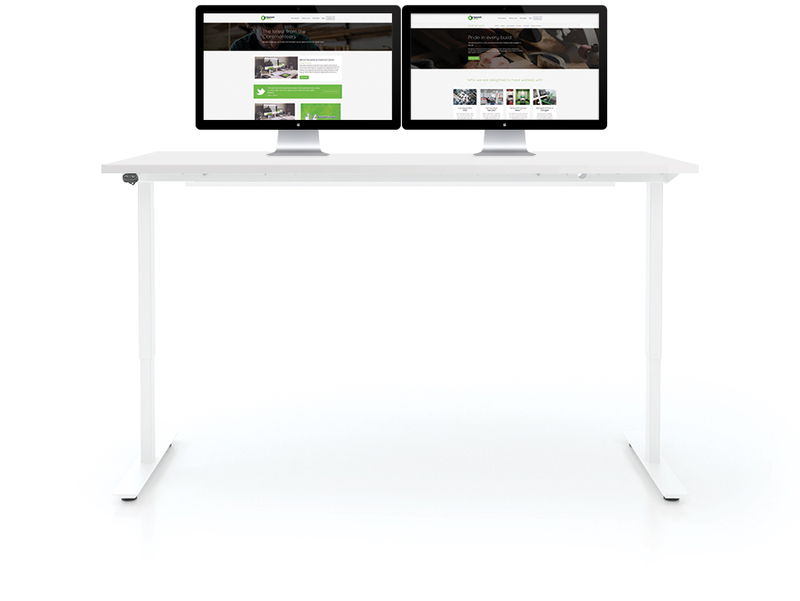 Sit stand quality is now more accessible from our stocked range of high quality, reliable, quiet & great looking desks. Clients demand greater creativity, collaboration and interest within their buildings. We say, spend less on the desk & more on what matters. Great office furniture works for your company and for your team. We meticulously design ours to be flexible, ergonomic – and available just when you need it. We are united in success and defeat, we are Claremont Centre. Made up of a team of like-minded individuals with a common goal of disruption by being quick to respond, thorough in our planning, transparent in our approach & always with the client at the forefront of all we do. We are proud to be a leading desk supplier in the UK. We design & build our furniture well and we build it to last. Making certain everything is durable easily installed and finished to exceptional standards. Thats what makes us a leading desk supplier in the UK. We’re different. We look at website and we look at our brochures, social media channels and some email campaigns and we are much the same. But, there is a difference (most marketing folk would probably say the next bit too), we’re different. The team at Claremont Centre are a proud team of individuals working with a common goal of fulfilling the needs of you; our furniture dealers and ultimately for you to have the confidence to pass on a promise to your clients that when you say they can have their office furniture, they will have it.